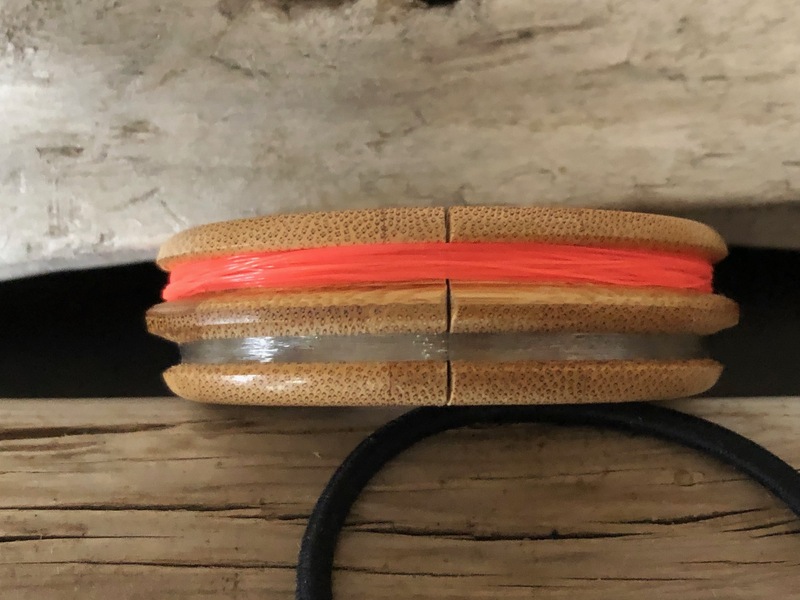 On a couple of recent fishing trips with my friends Daniel and Dennis, I was struck by something–actually, I was struck by the absence of something. While I was donning my beloved Yonah Tenkara Simple pack, they were carrying nothing. And I mean nothing (save their rods). No chest packs, no backpacks, no sort of carry system to speak of. Where was all their gear? To look at them, you wouldn’t even know they were about to go fishing. They looked like they were about to hang out in Starbucks and check Instagram over a latte. While I consider my Yonah pack to be pretty minimalist compared to what most people carry, somehow, seeing them made me feel like I was still carrying too much. 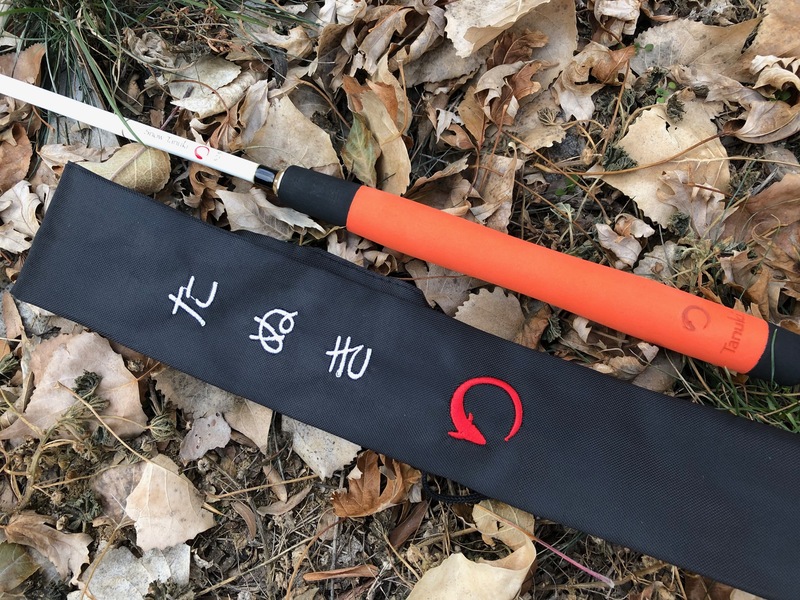 If you read my review of the Tanuki Snow 325, you’ll know it’s one of my favorite rods for my small, local streams–the places I’m most likely to use an ultralight kit like this. And at only 2.1 oz., it seemed like a logical choice to keep the weight down for a kit that I might also bring along on backpacking trips where fishing may not be the focus, but I want to be prepared just in case fishing opportunities present themselves along the way. 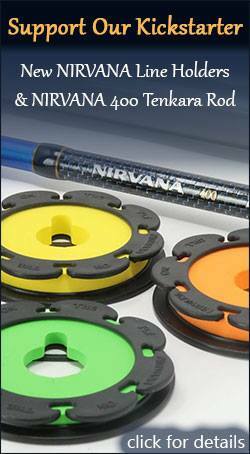 Dennis’ Tenkara Path wooden line spools are perfect for a minimalist kit like this because they’re multi-purpose. 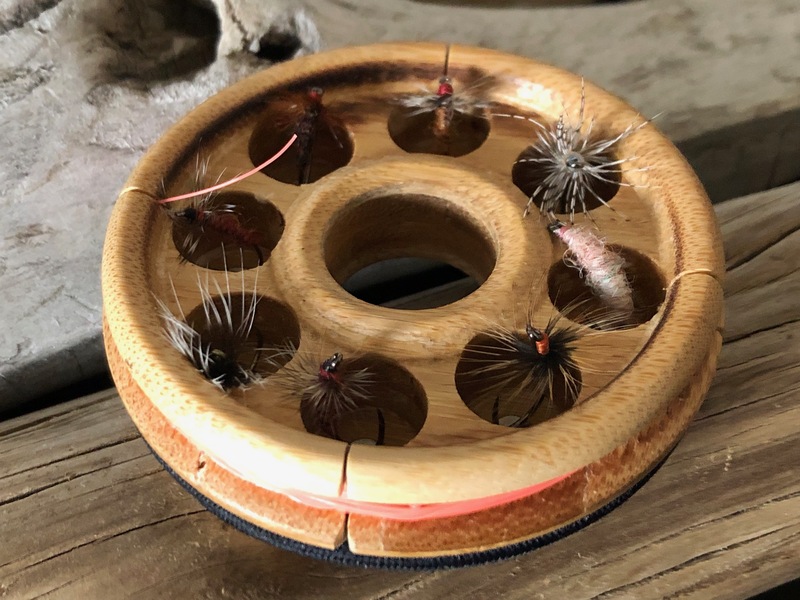 As I mentioned above, you can carry your flies inside the drilled out holes of the spool which hold them securely in place with powerful dionysium magnets (no, they don’t fall out). My kit holds 8 flies which seems adequate given that I typically end up only using one or two flies on a short outing and at most, lose two or three. I don’t think I’ve ever lost eight flies on a quick trip. The selection is an assortment of my confidence patterns such as my yarn stiff hackles, Shetland Killer, Kamikaze Kebari, and glass bead sakasa kebari. The Tenkara Path Spool holds both line and tippet, so for my SUL kit, I strung it up with 13′ of Tenkara USA 3.5 Fluorocarbon level line and 5X Rio Powerflex tippet which is about the best all-around combination for any condition I’m likely to face with this kit. I could shave off 1.2 oz. by leaving the hemostats behind, but for the safety of the fish, I consider them necessary in case they swallow a fly and you can’t remove the hook with your fingers. And that’s it! The total outfit comes in at a mere 4.3 oz. That’s less than some fly rods weigh by themselves! Now it might seem like there are some things “missing” so below I’ll give an explanation of what I left out and why. Nippers. On the stream and off, I’m never without my pocket knife, so since I’m carrying it anyway, I just use that to cut tippet rather than adding another piece of gear. Net. While a net is nice, it’s not necessary and I consider it more of a convenience if I want to let the fish relax and catch its breath while I get my camera out to take pictures. But truth be told, I can land fish and return them to the water just as quickly and safely by following C & R best practices without one. I may have to sacrifice a few photo ops, but that is not a priority when using a fastpacking kit like this. Rod Plug. I just leave the line connected to the lilian and the spool on the rod. It would just be one more thing to keep track of. Fly Box. As mentioned above, the spool holds as many flies as I need for cases where I’d use this rig. Extra Line. For a long time, I carried several spools of extra fluorocarbon line with me “just in case”. Well, I can only remember one time where my line became so damaged that I had to replace the whole thing. And even then, I was within easy walking distance to the car so it was unnecessary. Rod Case. I never use them anyway. 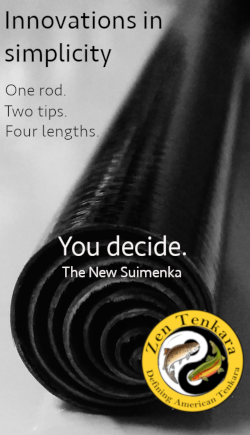 Tenkara rods become their own “cases” when collapsed so they’re just superfluous to me. Going SUL: Does it Work? Yes! As someone who works in a fly shop, every day I see lots of anglers who carry an entire fly shop with them on every outing. Their vests are stuffed with a dozen fly boxes and they have every gizmo, gadget, and gimmick you can think of hanging from their bodies like a haphazardly decorated Christmas tree. And they catch nothing. Conversely, I see my friends like Daniel and Dennis who carry nothing, yet consistently catch fish. Why? Two things: confidence and skill. 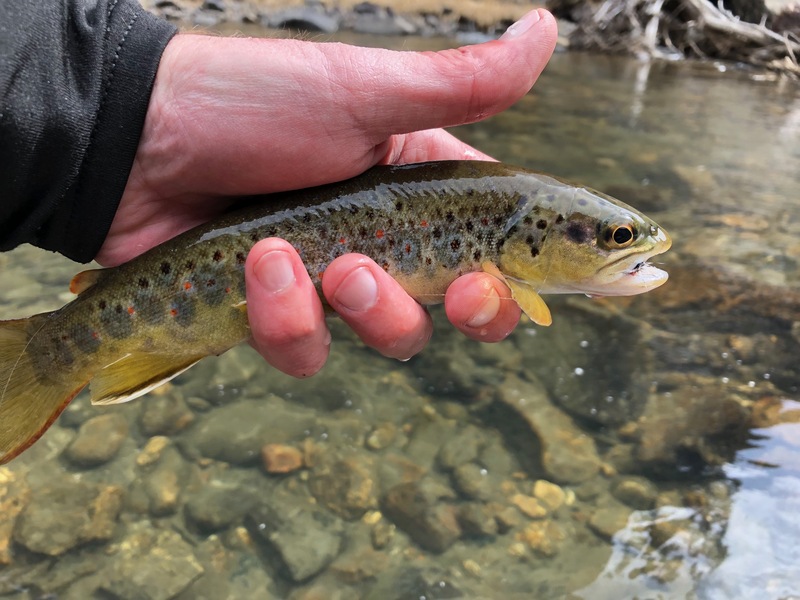 To go truly minimal, you have to have confidence–in the flies and gear you’ve chosen and in your ability to read water, present well, and know fish behavior. All the gear in the world won’t help you catch fish if you don’t know what you’re doing. The marketers at tackle companies would have you believe otherwise–that gear can replace skill and breed confidence. But what I’ve seen is that gear breeds a false sense of confidence and the delusion that it can somehow replace skill. 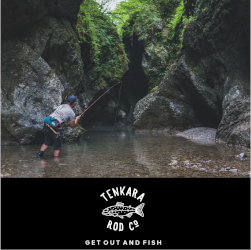 Whether you want to shed weight for backpacking, leave a ready-to-go car kit in your car, or just eliminate clutter and the fuss factor of carrying a lot of gear, assembling an SUL tenkara kit is a great exercise to challenge yourself and your skill as an angler. The kit above won’t replace my EDC setup, but I did learn a lot about who I am as an angler by using it. If you want to look in the mirror and test your mettle, give it a try and see how little you can get away with. How minimal have you gone and what did you carry? Great post, Jason. I’m an ultralight nerd (I wrote a 4,000+ word article about ultralight backpacking for the upcoming Tenkara Angler issue), so I enjoyed reading this. The wooden spool is multi-purpose, but the wood and magnets are still comparatively heavy. 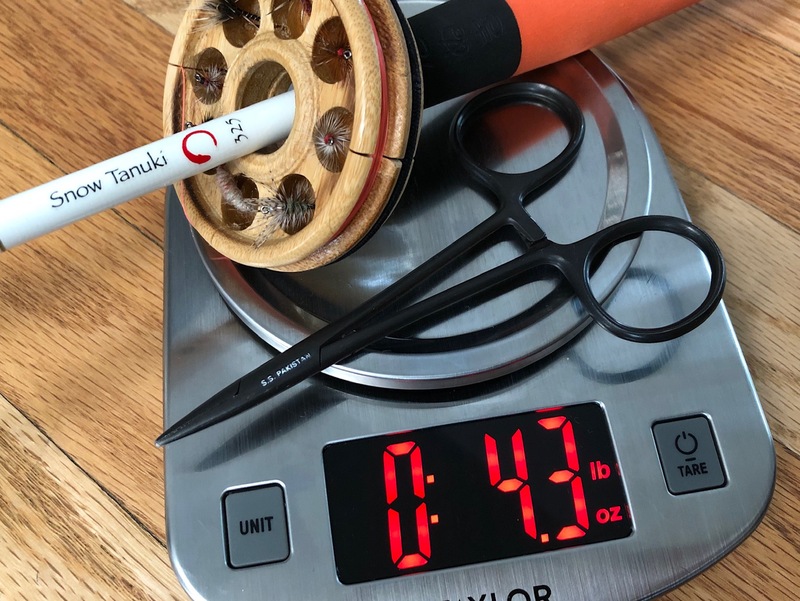 I just weighed one of those plastic tenkara line cards, a small plastic box for flies, and a spool of 5x tippet, and it was 0.6 oz (see the attached pic, if it worked…), versus the 1 oz of the wooden line holder by itself. 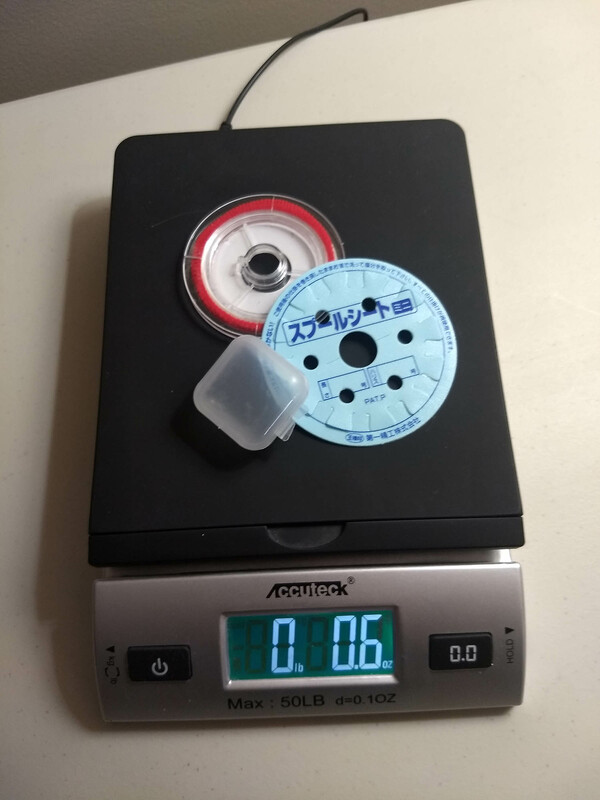 Practically speaking, that 0.4 oz difference won’t be noticeable or matter in the slightest, but it’s still fun to think about academically, and for what it’s worth, it would get a setup like yours to below 4 oz. Thanks Tristan! I use those line cards for storage but they’re a pain to use on-stream if you’re winding and unwinding a lot moving from spot to spot so that’s why I chose the wooden line spool–it’s just better ergonomically. But if grams are critical, then that’s the way to go for sure. P.S. Glad to see someone else who appreciates the academic side of experiments like this. 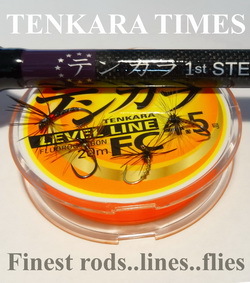 My most-used carry for tenkara fishing is an ultra-slim fly box with four different type flies :1) black Sakasa 2) white Crockett 3) killer bug 4) elk hair Caddis -black, tan, olive. All are size 12 flies. To complete my kit, I carry a spool of 5x tippet and a scissor clamp. There you go…. Jason, great topic! I have gone with a rod, TUSA Keeper, hemos and small (Cliff Outdoors Days Worth) fly box and hemostats. I tried putting some flies in the compartment of the Keeper, but had issues with it staying closed. The Orvis 5x tippet has a cutter on the spool and I carry a Swiss Army knife. I must confess that I still pretty much use a few Western style flies because I have not found or tied kebari style that I have enough confidence in. Tristan, I agree that your combination of 3 items weighs less than Jason’s spool, but it is still 3 individual items versus 1combined piece to carry. Now, if Dennis could incorporate a clipper device into his spool, like the toothpick on the army knife, now that would be epic! Hint Hint Dennis. 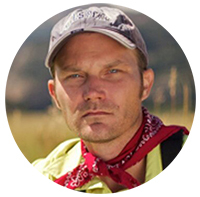 Mark, we actually discussed adding a built-in cutter kind of like the ones that come on Scientific Anglers and Orvis tippet spools. I think it would add a lot to the cost though. I don’t get out and fish nearly as much as I used to but i do keep an ultralight setup in my truck, daiwa soyokaze 9 foot which is perfect for the tiny streams near me, a cheapo foam spool for a 10-12 foot level line and another for 7x tippet, a pair of hemostats with the integrated scissors, and for fly storage I just stick 15 or 20 into my hat. They’re barbless so they’re easy to remove and I haven’t gone a day without a hat since age 2 so it’s always there. I don’t know the weight but it’s gotta be in that 3oz range being the rod I use weighs less than an ounce! 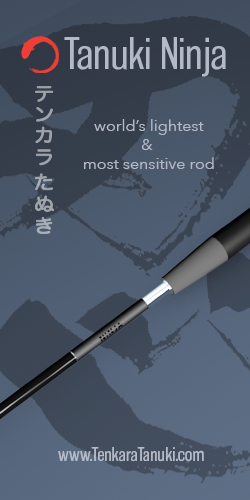 Just purchased my first Tenkara rod, the SATO and your insight is extremely helpful to a newbie. That’s great Jim! I think you will love that rod. Hi Jason. 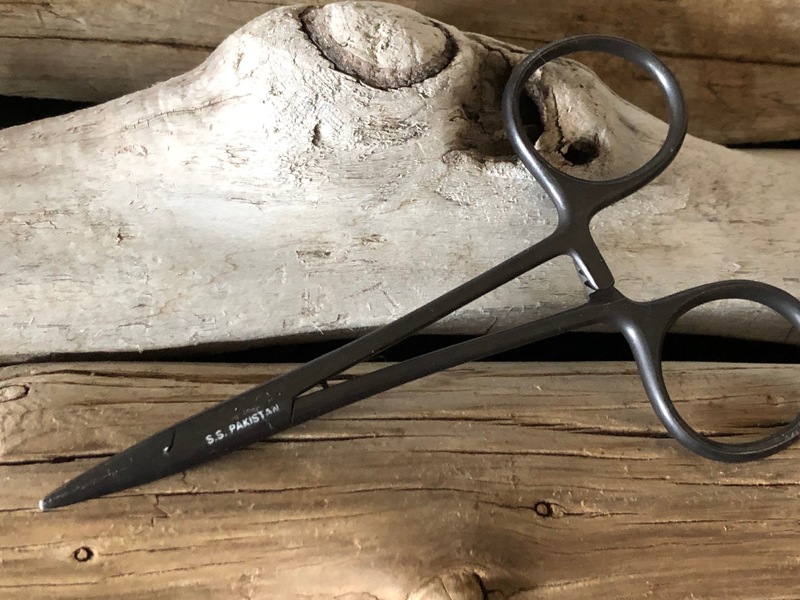 I got a new hemostat that I have not had a chance to fully test as of yet, but I believe they will eliminate the need to carry line nippers. Here is a Link: https://loonoutdoors.com/products/rogue-micro-forceps Please take a look…..Karl. Hey Karl, those look good—especially the padded finger rings. But I don’t see the “cutting edge”. Are there scissors? I’m not familiar with the acronym SUL and nowhere do you explain it. I’m guessing it means Simple Ultra Light? Hi Jason. I am glad you asked because I forgot to mention, in addition to the scissors cutting edges being right behind the hemostat’s flat smooth jaws you asked about, the devise also has a pointed hook eye cleaning pin tool that is protected by a hole in the opposing scissors arm that the Loon information does not even talk about. The metal surfaces have a velvet surface coating that’s very non-reflective, so the scissors cutting blades are hard to see in the picture. Hi Jason. I am glad you asked because I forgot to mention, in addition to the scissors cutting edges being right behind the hemostat’s flat smooth jaws you asked about, the devise also has a pointed hook eye cleaning pin tool that is protected by a hole in the opposing hemostat’s arm that the Loon information does not even talk about. The metal surfaces have a velvet-like surface coating that’s very non-reflective, so the scissors cutting blades are hard to see in the picture but they are visible if you look closely enough. I bought that same spool for myself for just the same reason. Paired with a Loon Rogue Mitten Scissor Clamps (boy that’s a lot of verbiage) it’s all I need.